Vitamin A was the first vitamin to be discovered (thus labelled with the letter A). It is a group of fat soluble compounds that are vital to life. Its best known function is that it's needed for night vision. However, unknown to most people, it is also plays a role in maintaining the immune system and the surface lining of organs. Vitamin A naturally exists in two main forms. Preformed vitamin A is obtained from animal sources (liver and to a lesser extend milk and eggs), and is actual vitamin A. It is the most active and absorbable form. Plants contain vitamin A precursors, which are a range of different carotenoids including alpha and beta carotene. These are found in coloured plant foods such as carrots, sweet potatoes, mangos, as well in green plants such as spinach and broccoli. Carotenoids must be converted to retinol before they are active, and not all carotenoids are able to be converted into a vitamin A active form. Vitamin A has never really been directly associated with exercise performance or bodybuilding. However, given that it is a vitamin, being deficient is not only going to affect your potential, but is outright dangerous. The good news is that vitamin A can be stored efficiently for many months in the liver, and short periods of deprivation will have no significant health effects as long as you have a good reserve (Wald et al, 1942). Like many other fat soluble vitamins, toxicity is an issue that must be considered, because excess is not excreted, and instead accumulates within the body. Toxicity can occur with a single massive dose, or many smaller doses over time. Preformed vitamin A is more toxic than carotenoids in high doses, and symptoms of toxicity include headache, nausea, joint pain, liver damage, coma, and death. 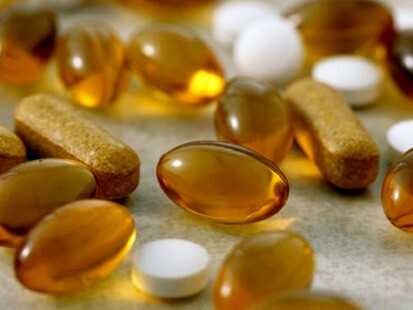 The use of large doses of vitamin A during pregnancy can also lead to birth defects (NIH, 2012). So this is definitely a vitamin you do not want to overdose on. It is important to keep your preformed vitamin A intake below 3000 micrograms (10,000 IU) per day. The recommended daily intake of preformed vitamin A is 900 micrograms for men and 800 micrograms for women in total. Vitamin A can be taken with food. Vitamin A is absorbed along with dietary fat. Therefore, if you are using fat loss supplements and/or drugs that contain fat blockers that affect fat digestion and absorption, it may be necessary to increase dietary intake of vitamin A to avoid deficiencies. Vitamin A in supplements can come as preformed vitamin A or as carotenoids. They can be found as a stand-alone supplement, or in lower doses in multivitamins, antioxidant supplements, or even ladies proteins. Vitamin A can be stacked with almost anything. Caratenoids show some antioxidant activity. They can therefore be stacked with other antioxidants such as vitamin C and vitamin E.